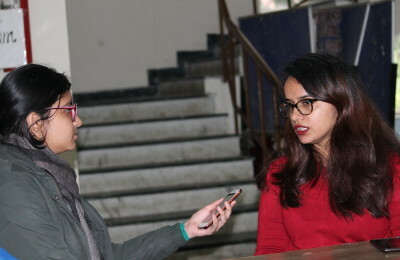 In a few weeks, the University of Delhi will be abuzz with fests and concerts. Star nights, celebrity gigs, and live performances make will light up the whole campus. These events offer an opportunity to click some excellent event photographs. In the wake of the upcoming fest season, we present some tips and techniques for live concert photography. Low Aperture- Lowering the aperture will allow more light to enter into the camera. It is suggested that you shoot with your lens wide open to have some extra light to play with. High Shutter Speed- With fast and frequent movements, the shutter speed of the camera will be responsive and decrease the possibilities of blurred images. Higher ISO- High ISO will make your camera more sensitive towards the light which will help in low light images. Adapt the camera features according to the lighting provided so that you are prepared when the light falls on the subject. You won’t get perfect pictures within 10 minutes into the concert. One needs to shoot throughout the show with patience. Capture moments which will make your photograph unique! Research both the venue and the artist before the actual gig. This will familiarise you with the performance and the stage setup. Stage light is often low, so using a fast lens will help you get sharp images. For beginners, a cheap 50mm 1.8 lens is recommended because it can shoot in low light.